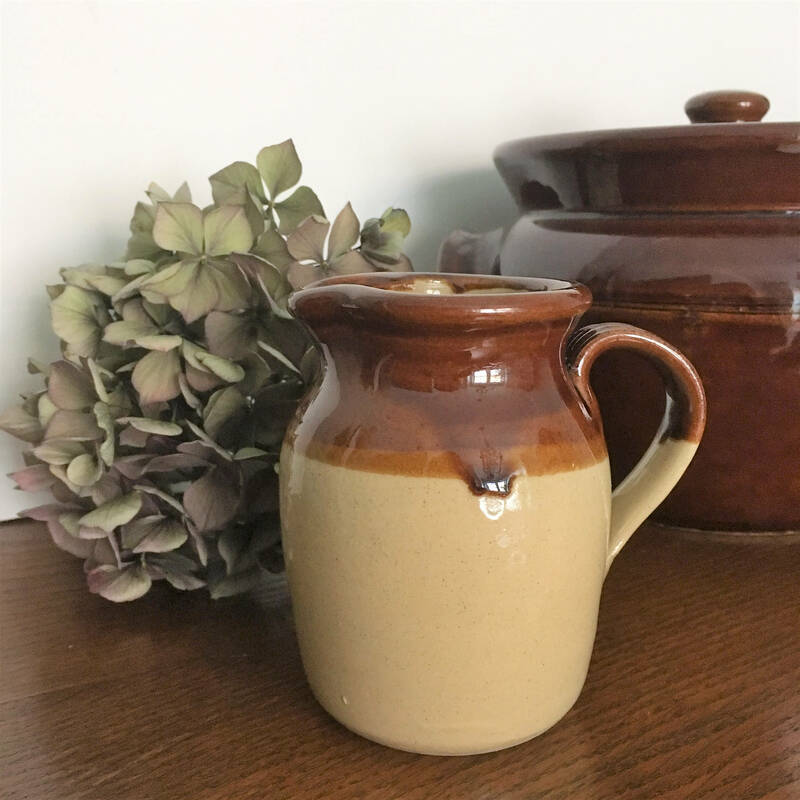 Brown earthenware jug, for the classic country kitchen. 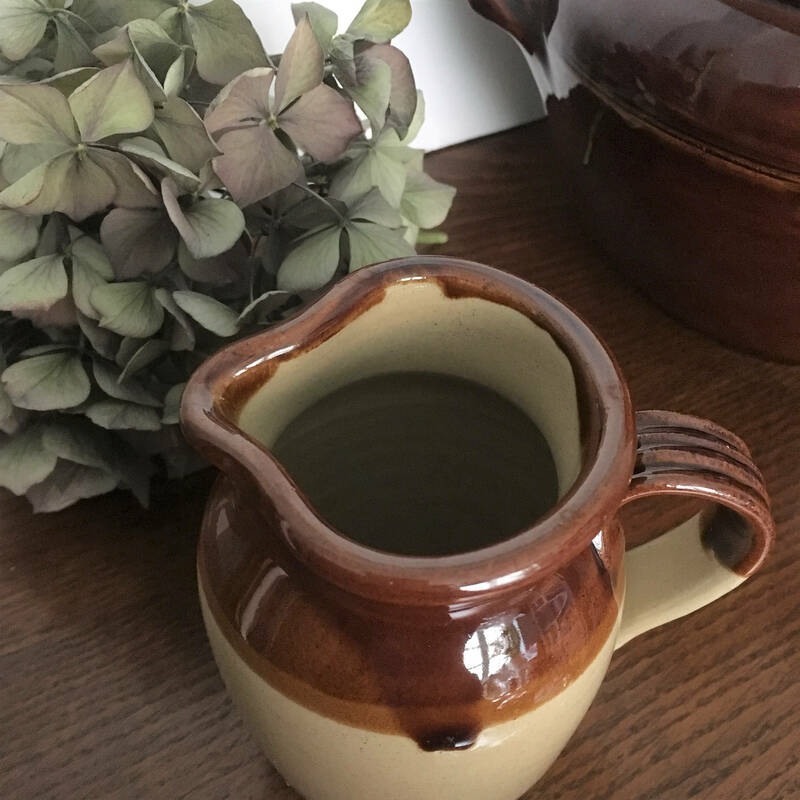 These beautiful, timeless jugs look just as good at the table as they do on your dresser. 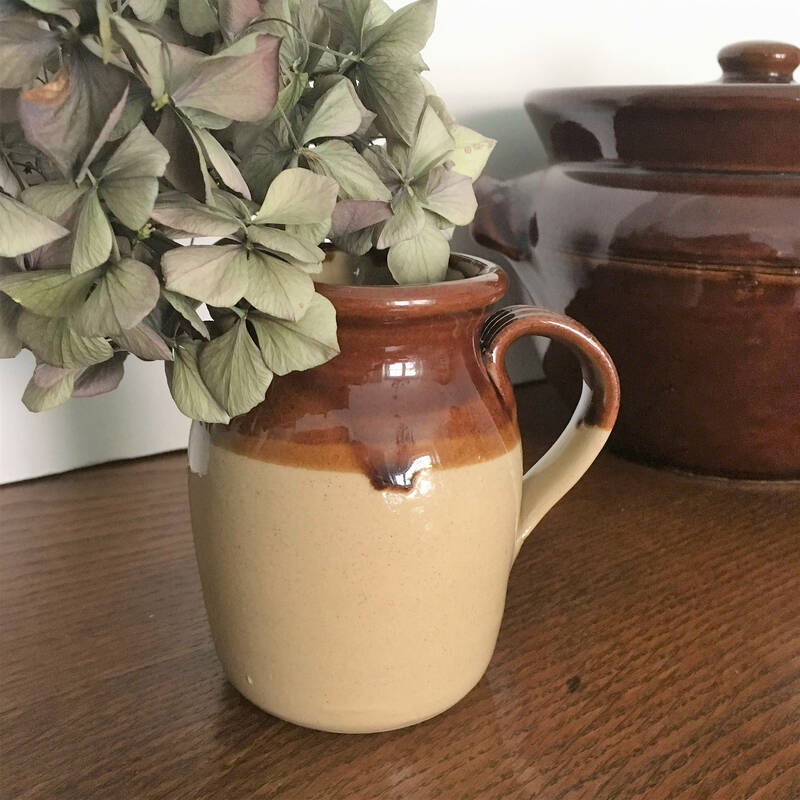 In between using to pour fresh cream from your friendly local farmer, why not use it for holding pretty handpicked posies of wild flowers from the meadow and hedgerows behind your house......we can but dream! 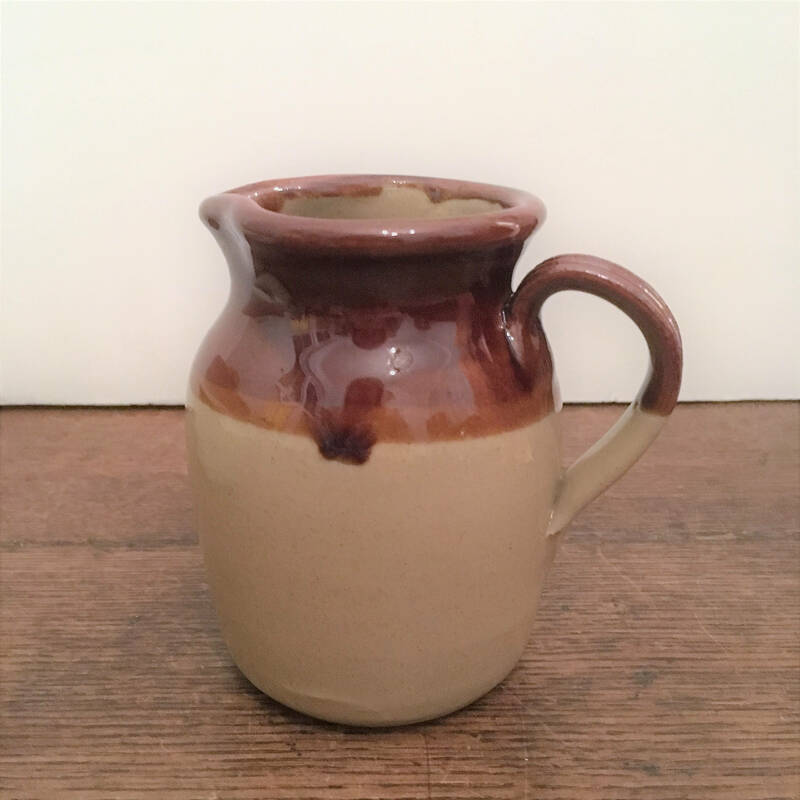 This little jug is in great condition and is ready for use. 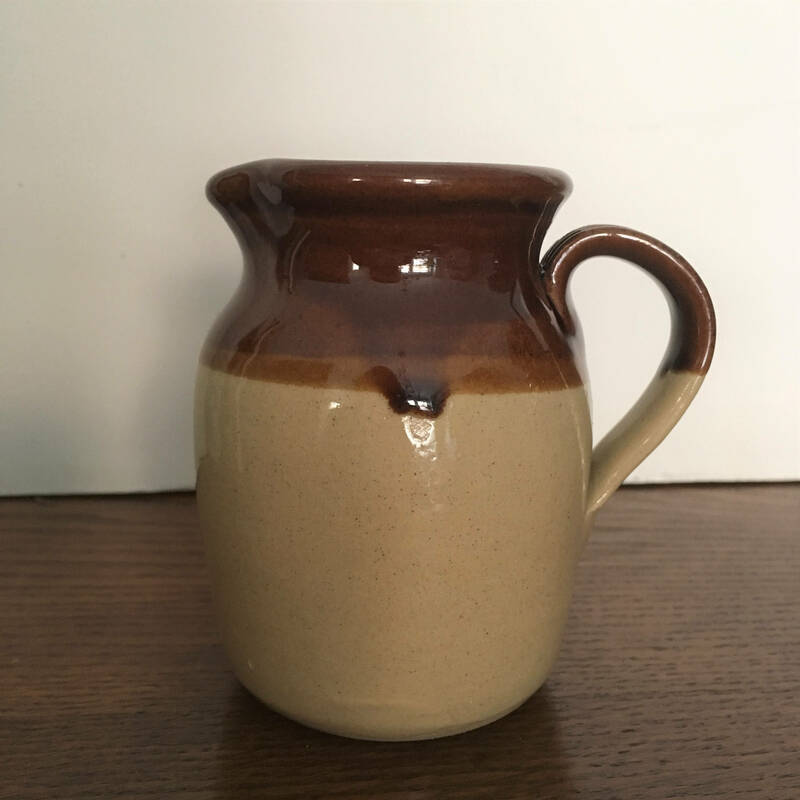 Measures 11cm high.